Stay in an authentic 150-year-old Edo period farmhouse outside Tokyo. Explore the farm-to-table lifestyle in the Japanese countryside - the perfect rural holiday accommodation ryokan for locals and tourists alike. 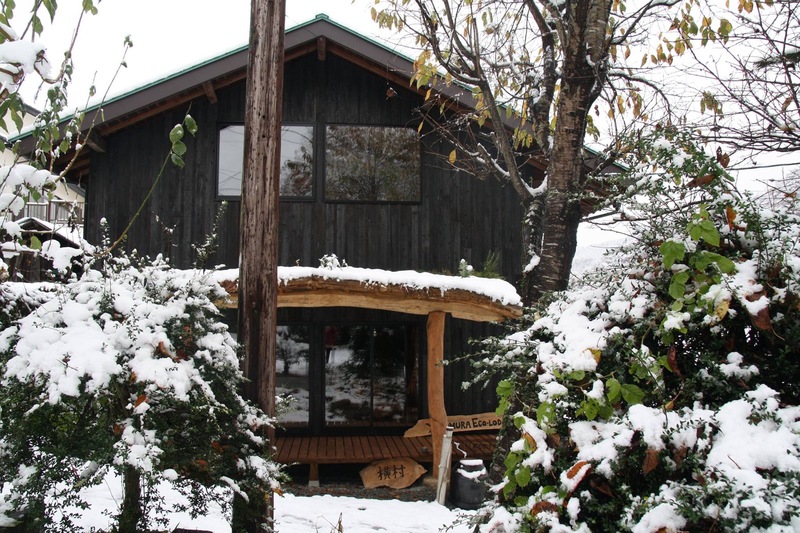 Hidden in the mountainous village of Akiyama, on the border of Yamanashi and Kanagawa, the Yokomura Eco-Lodge is the perfect retreat from Tokyo's hustle and bustle. Built around the farm-to-table ethos, the lodge provides a truly unique way to explore and experience the Japanese countryside. Crafted over two years, this property is an environmentally friendly scenic escape, with rivers, onsen and mountain trails right on the doorstep. The Edo period farmhouse has been completely renovated into a countryside haven, and the property's design makes it a multi-functional space perfect for weddings, work retreats, and weekends away. Property owner Byron spoke to WILLIAMS MEDIA to discuss the appeal of the property for locals and foreigners alike. "The proximity of the property to Tokyo makes it an ideal location for escaping the city, enjoying a bit of the country life, as well as taking day trips to Mt. Fuji." Byron and his wife Kaori were eager to make a life for themselves in the countryside after a decade in Tokyo and made the sea-change when the nearby farmhouse became available. The couple were also incredibly interested in the farm-to-table lifestyle and incorporated this approach in their renovation style. Over a year was spent restoring the farmhouse and the final product is a combination of eco-friendly sustainability systems with elements of traditional Japanese culture and design so that the lodge retains the aesthetic of its community and surroundings. With high ceilings and large windows, light is a key element of the lodge and its open-plan design. The bedrooms are also spacious with an open-air cabin atmosphere. Originally used for silk production, the 150-year-old wooden farmhouse, was in desperate need of an overhaul. Areas like the mulberry leaf cellar, under the kitchen, have been restored to retain the farm's unique history and to preserve the traditional Japanese culture of the area for visitors to enjoy. "For foreigners, I think the house provides a good balance between the rustic aspects of the countryside and a traditional Japanese farmhouse," Byron said. While the lodge offers every convenience, the surrounding gardens capture the calmness of country life. With a number of different spaces throughout the home and the numerous activities offered by the countryside, the lodge is the perfect place for a getaway. With a number of swimming spots, picnic locations and mountain trails, there is always something to do. For those interested in Japanese farm life, tours are also available, where guests are able to feed chickens, harvest eggs, pick flowers, and forage for mushrooms, mountain vegetables and bamboo shoots; where all food collected is prepared for your next meal. For added relaxation, the Akiyama Onsen is within a ten-minute walk with indoor and outdoor baths available, but the lodge also has a bathhouse next to the main building, if you feel like staying in. "In our renovation, we have tried to stay true to Japanese aesthetics while at the same time creating an environment that is spacious, well-insulated, and with large and dramatic communal spaces ideal for sharing meals and stories of your time in Japan with friends and family," Byron said. The farm-to-table experience is one of the primary features of the lodge and "we work closely with locals to provide this experience as well as meal catering for our guests," Byron said. Local chef Ozawa-san from the nearby Furintei restaurant is also available for in-house cooking. "In this bucolic location, he grows all his own vegetables, smokes his own meat and fish, makes his own pickles and handmade noodles and serves it all up with class to his guests in a private dining experience." 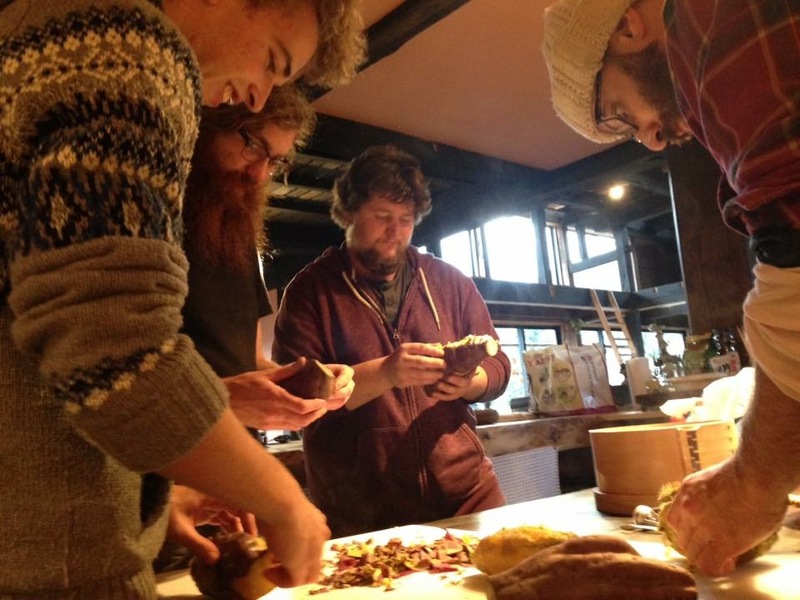 The lodge also works in collaboration with Hayari Terrace, a renowned local artisanal sausage maker specialising in handmade sausages using local ingredients of the highest quality. "Hayari Terrace has recently been providing our guests with a farm-to-table style breakfast bento boxes for those who don't feel like cooking in the morning," Byron said. "We are also working to develop a barbecue platter option featuring a variety of their handmade sausages and meats for guests hoping to barbecue down by the river." "We are currently in the process of building our own farm located up in the mountains, about 15 minutes from the lodge. Along with producing organic produce for chefs in Tokyo, one of our goals here is to eventually develop educational content and workshops in both English and Japanese for any locals or tourists interested in learning about Japanese food and cooking, sustainability, permaculture, and natural building techniques here in Japan," Byron explained. Byron's passion for the experience the Yokomura Eco-Lodge provides is clear: "guests looking to experience traditional and authentic Japanese country life need only take a step outside." 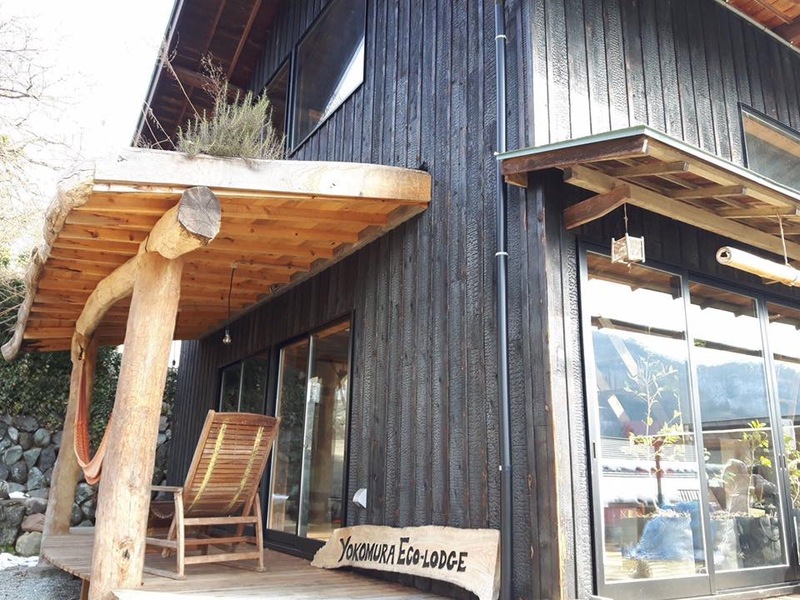 For more information about the Yokomura Eco-Lodge, or to inquire about booking, email Byron Nagy via the contact details listed below.